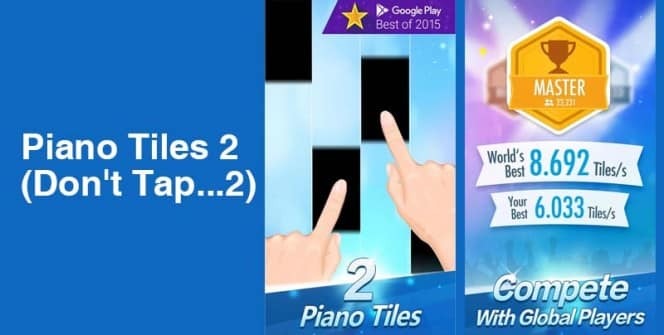 Offered by Clean Master Games, Piano Tiles 2 is a casual/arcade game that can be played on android and iOS devices. 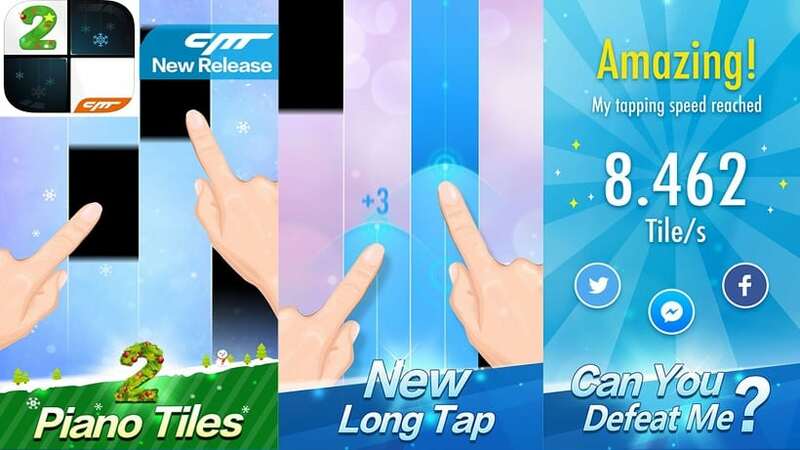 It is a new version of the Piano Tiles (Don’t Tap the White Tile), and comes with improvements in the gameplay, music, sound and other features. With an android emulator, you can download and install the game on your PC and enjoy better piano playing. More Albums & Songs of Various Styles. The developer has equipped the new game with numerous albums and a huge number of songs. You will be able to access most of the albums and songs when you correctly play songs and move to higher levels. Play both pop and classical music to improve your playing experience. And do not forget to add your best songs to the favorite list. If you still want some more songs, use the coins that you’ve gathered to purchase them. Piano Tiles 2 comes with a cleaner song interface. The outgoing game had a complicated interface: it was not easy to choose songs from it. But in the new game, the songs are clearly listed and it is easier to choose them. If the background music is distracting you, you can turn it off and follow only the beats. You will still find your rhythm with the help of the beats which always stay in line. The most important thing when playing with or without music is to make sure the steps match well with the sound. Enter the Bonus Stage and Gather Coins. When you complete the initial level, you get a chance to play in the bonus stage which offers a number of free coins. You need to tap the screen with multiple fingers to gather the coins. You can also swipe to collect coins in this mini-game. Enjoy More Challenge in the Endless Mode. This mode is available when you complete the initial and bonus levels, and it comes with different steps and higher speeds. If you see coins while in this mode, tap the gold and black tiles simultaneously to gather them. You can also swipe the tiles from one to another to gather the valuables. Earn More Coins by Grinding & Taking Part in the Challenges. The best way to earn more coins in Piano Tiles 2 is to grind the game out. Other methods include replaying songs that you’ve already completed and taking part in the challenges. As for the challenges, you need to complete harder playing tasks to earn more coins. You can also compete with players who have taken part in the challenges to earn some more coins. The game allows you to compete with your friends and global players. 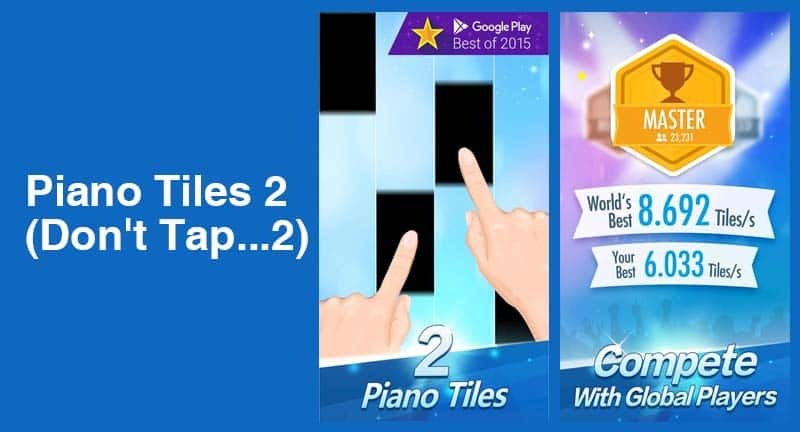 Piano Tiles 2 for PC. When playing the game on a laptop or desktop, you will enjoy better display and control. You will also be able to transfer the game data to other multiple devices after logging in with Facebook. So enjoy hassle-free piano playing and improved functionality by downloading and installing the game on your PC. Sometimes when playing Piano Tiles 2, bluestacks ask you fee to pay but gives you option to download some apps. Every time it asks you just select “Install apps” and continue using it free. I hope you enjoyed this guide, please rate and share. If you have problems running Piano Tiles 2 on desktop or any other issues, leave a comment below.